The holiday season is rapidly approaching and everyone is making plans and reservations to make thing extra special this year. Everyone know about the stress that can come with the holidays with all of the shopping, planning and organizing but it is also a time of creating memories. If you’re interested in having a truly memorable year, try having your very own holiday-themed entertainment. 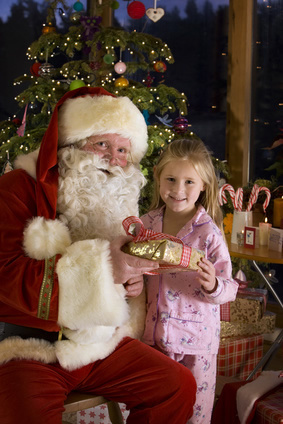 You can have an amazing Santa for Hire visit to delight your children and guests of all ages. This is a perfect addition to your holiday party whether it is being held at your home, work, church or school. Just when you thought you’d seen it all, iluvaparty.com takes the holiday celebration a step further! Now you can reserve to have Santa, Mrs. Claus, a Nutcracker ballerina and even those lovable holiday elves. Choose which character you want to have as entertainment at your venue or choose to have a combination of characters. Your guests will be delighted by the stories and carols. Holiday face painting, story-telling, puppets and balloon art is also available. For those in the CT, NJ, NY Tri-State metro area that celebrate Hanukah, we also have a human sized dreidel to liven up and entertain everyone with great holiday stories.